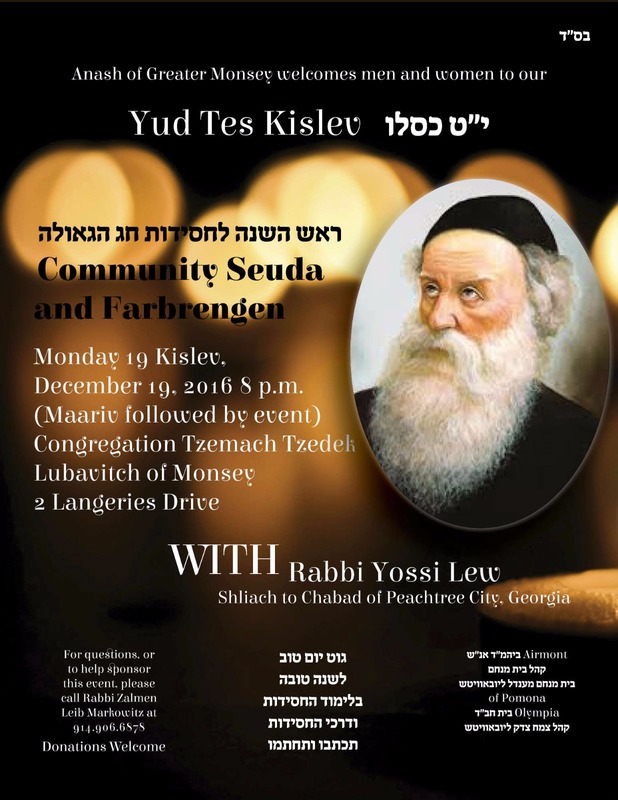 Chabad of Greater Monsey: Community Wide י"ט כסלו Farbrengen tonight! for men AND Women!! Community Wide י"ט כסלו Farbrengen tonight! for men AND Women!! Please join us for a community wide farbrengen sponsored and organized by all Lubavitcher shuls in Monsey/Pomona/Airmont. come and bring your friends. There is NO entry fee.